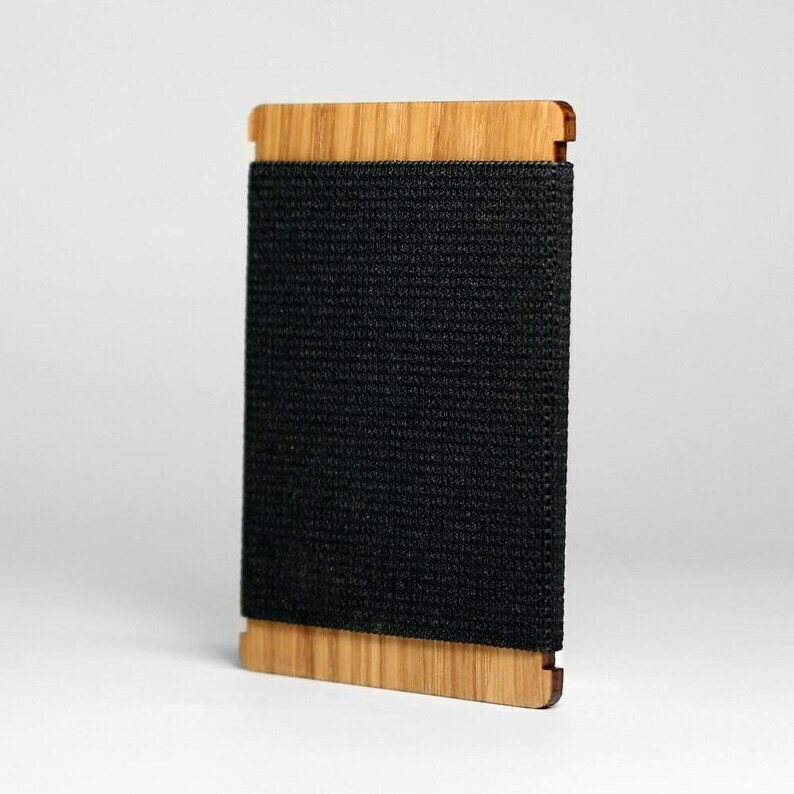 CNCH :: Features: a wooden Oak 'backbone' and high quality black elastic 'keeper' to keep all your cards in place. The CNCH is super thin and balances form & function handsomely. Each wooden Oak CNCH is finished with environmentally friendly, non-toxic tung oil. Proudly crafted in the USA. *Each wood grain is unique making each wallet one of a kind.